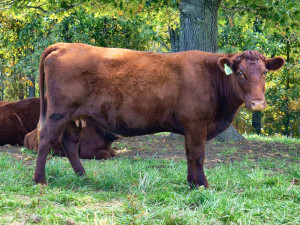 Devon cattle are one of the oldest beef breeds in existence today. The American Livestock Breeds Conservancy reports that Pilgrims shipped one bull and three heifers to New England in the 1600s. 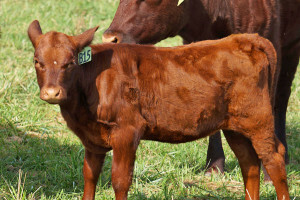 It wasn’t until 1855 that Devon cattle became a registered breed in the United States. Today, Devon cattle are still considered to be one of the best breeds in America that produces some of the best beef you can get. Devons are known for their early maturity. They are a well-muscled breed with one of the thickest hides in the world. 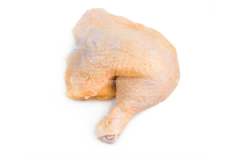 This makes them highly resistant to external parasites. They are good “walkers” and excellent foragers, performing very well on grass-only systems and grain fed systems. 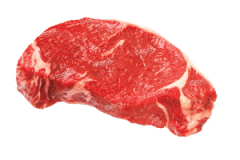 Because Devons perform well with a grass-fed diet, they produce high-quality beef, referred to as “white tablecloth” quality. 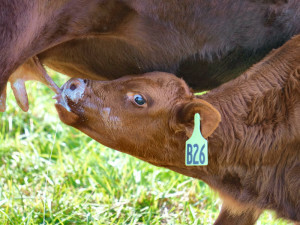 Devon beef is more flavorful compared to other breeds thanks to the balance of fat and meat. 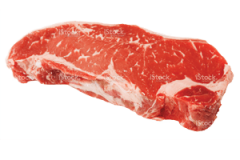 Devons have intra-muscular fat in the meat, producing a wonderful marbled beef. Plus, when fed a grass-fed diet, Devon beef is healthier, and tastes better, compared to other breeds. 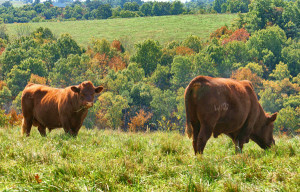 Several studies have proven that grass-fed beef has superior nutritional advantages over corn-fed beef. 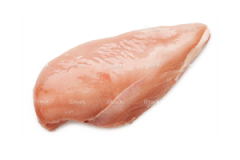 This includes higher levels of heart-healthy omega-3 fatty acids, conjugated linoleic acid (CLA) and cancer-fighting antioxidants. Plus, compared to grain-fed beef and commercial chicken, grass-fed beef has one of the lowest amounts of fat per 3-ounce serving. 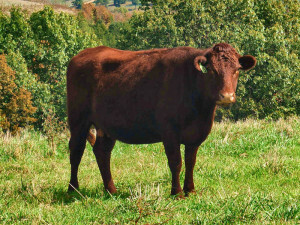 Devon cattle are often called Red Rubies due to their rich red color. Their color varies from a rich deep red to a light red or chestnut color. Their hair is a medium thickness. It’s short in the summer, but long and curly in the winter. 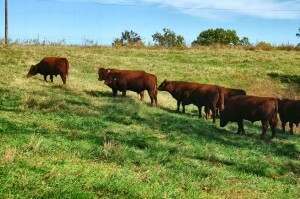 Mature cows range in weight from about 950 lbs to 1,300 lbs. 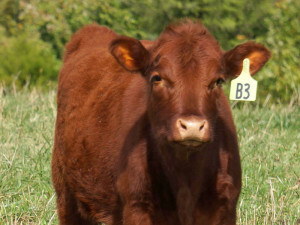 Ozark Red Devons operates Devon Cattle Ranch for Black Oak Cattle Company.